Medical Review Institute of America, LLC (MRIoA) is an independent review organization providing medical peer review resources for clients nationwide. Our reviews are thoroughly researched, summarized and supported to help personnel reach sound decisions. We process a high volume of pharmacy cases at all levels of review for some of the nation’s largest pharmacy benefits managers. MRIoA can assist with your UM process. We have large panel of nurses and medical directors that are here to help you. 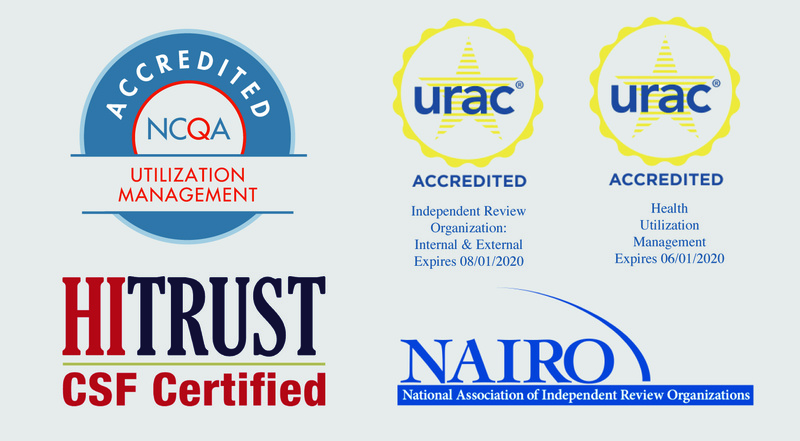 As a URAC accredited organization our reviews provide evidence-based determinations that are sound and defensible. MRIoA ensures clinically appropriate healthcare coverage determinations. We show our dedication to client satisfaction through attention to personal customer service, thorough quality assurance, quick response times, and constant innovation. MRIoA approaches compliance developments with innovation and flexibility, both in our processes and our products as we stay abreast of the legislative changes and new regulations. We proactively track applicable state and federal laws and regulations to identify upcoming changes and ensure ongoing compliance. Fast response time. High quality nationwide medical reviews. Exceptional customer service. Reach out to our Marketing team to discuss your review needs.